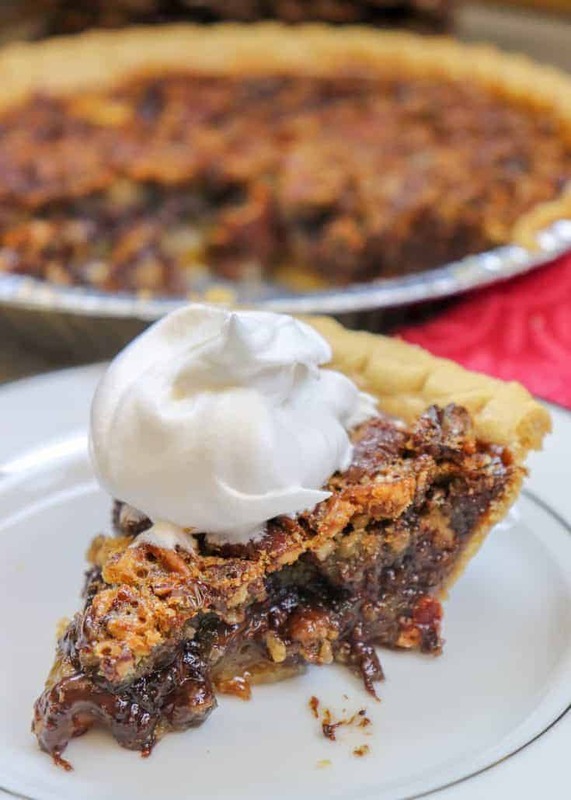 Chocolate Pecan Pie is a delicious dessert that combines the classic pecan pie recipe with a ribbon of chocolate. 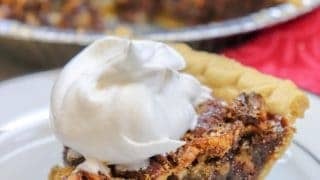 The easy southern pecan pie recipe takes about 10 minutes to make and less than an hour to bake. You’ll love this Thanksgiving and Christmas holiday dessert. I love pecan pie. It’s one of my absolute favorite desserts. 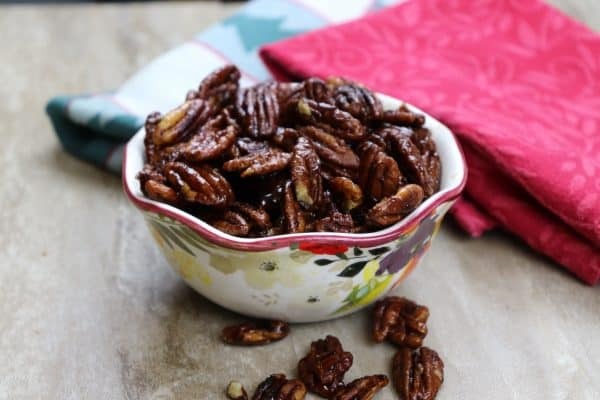 As a kid, I didn’t really like pecans so I shied away from it until I was older. Gotta say I missed out on a lot of good pie back then. But, that just left more pie for my dad. 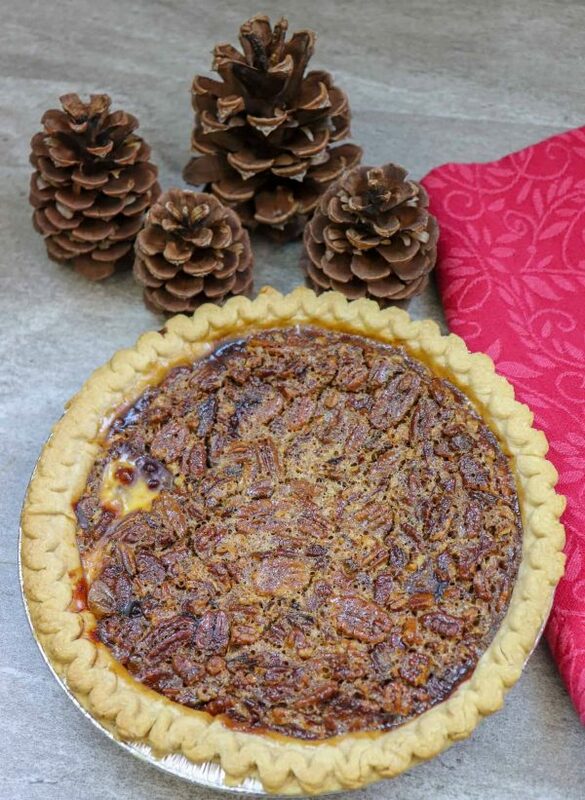 He has pretty much mastered the art of making the most delicious pecan pie out there. He gets his pecans from Georgia, so he’s got it all goin’ on with his pie. I’ve taken the classic recipe and added some chocolate chips for a unique flavor in this holiday treat. 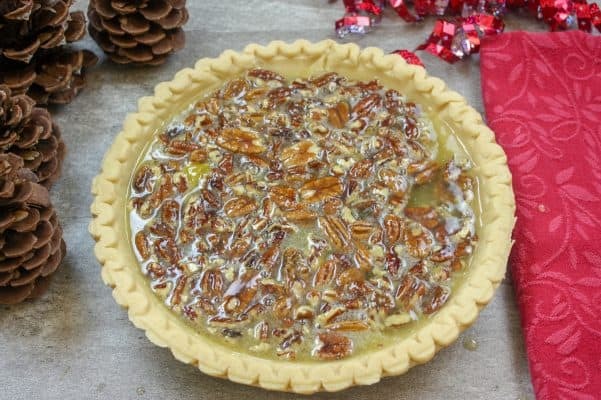 This southern pecan pie recipe is super easy to make. It takes about 10 minutes to whip up and less than one hour to bake. 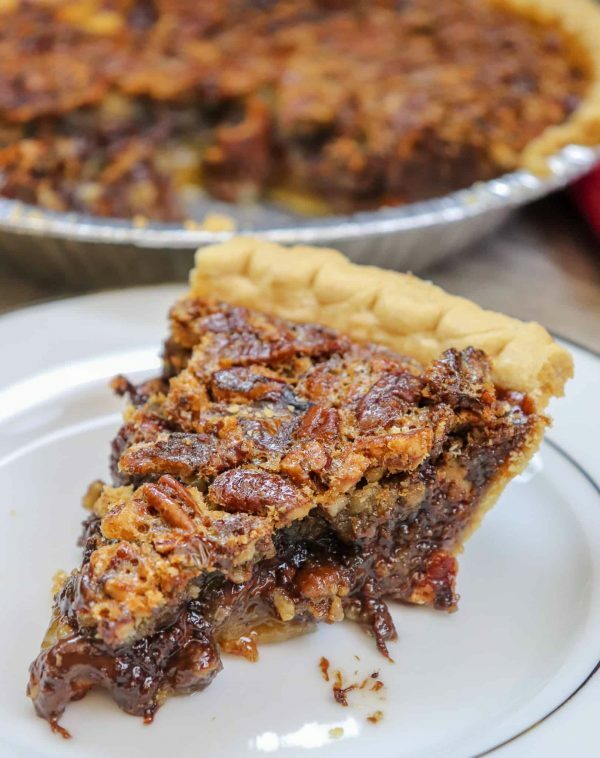 How do you make Chocolate Pecan Pie? 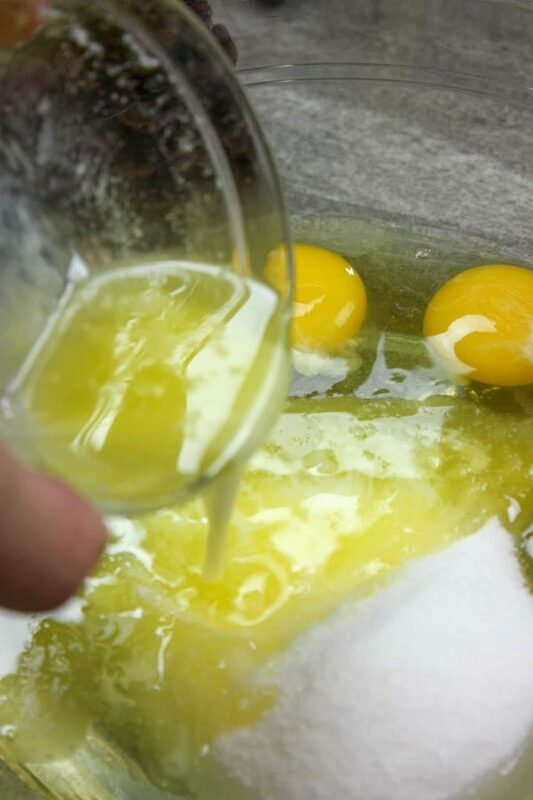 Add the eggs, light corn syrup, sugar, butter, and vanilla to a medium-sized bowl. Mix together. Sprinkle the chocolate chips in the bottom of a frozen pie crust and spread them out evenly. Pour the pecan pie mixture over the top and spread evenly. Bake for 55 minutes. Allow it to cool for two hours. Pecan pies are sold online every year for the holidays and let me tell ya, they aren’t very budget-friendly. I just spotted one online for fifty dollars! So, why not make your own for less than ten dollars? I usually get my pecans at Aldi’s. They are about half the price of the other grocery stores around here. I can get a pie crust and the ingredients all for a low price. Plus, it will taste a lot fresher than a pie you buy online. I promise. 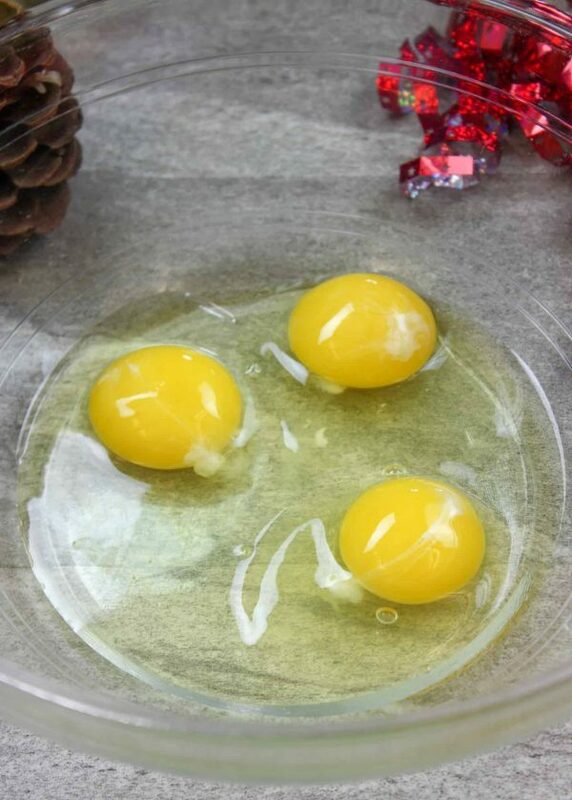 Add the eggs to a medium-sized bowl. 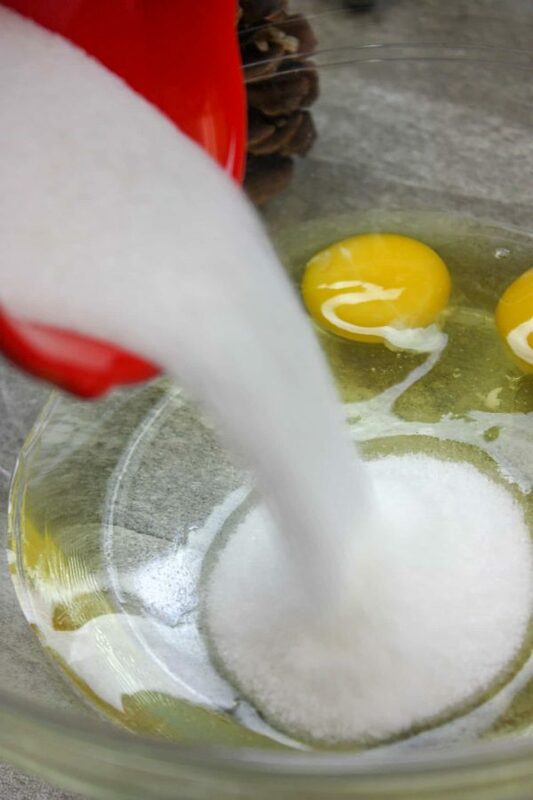 Pour the light corn syrup into the bowl with the eggs. This recipe calls for light corn syrup, but if you like a deeper flavor, you can use dark corn syrup instead. 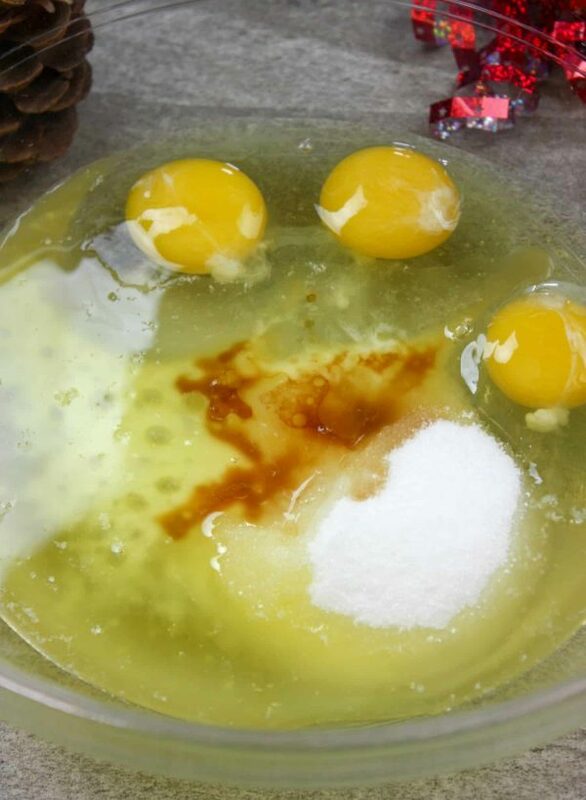 Pour the melted butter into the bowl with the other ingredients. I think melted butter somehow brings out the flavor of all the other ingredients. And it’s smellin’ pretty good about now. I can’t wait until we bake it. The entire kitchen will smell like the holidays. 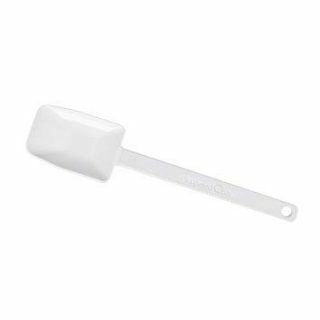 Add the vanilla and give everything a stir. Next, add the pecans to the mixture. Stir them well enough to coat the pecans. 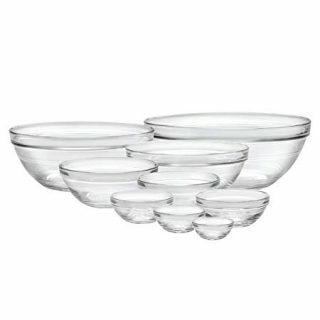 They will come out candied when you bake the pie and let me tell you, it’s a crunchy delectable dessert. 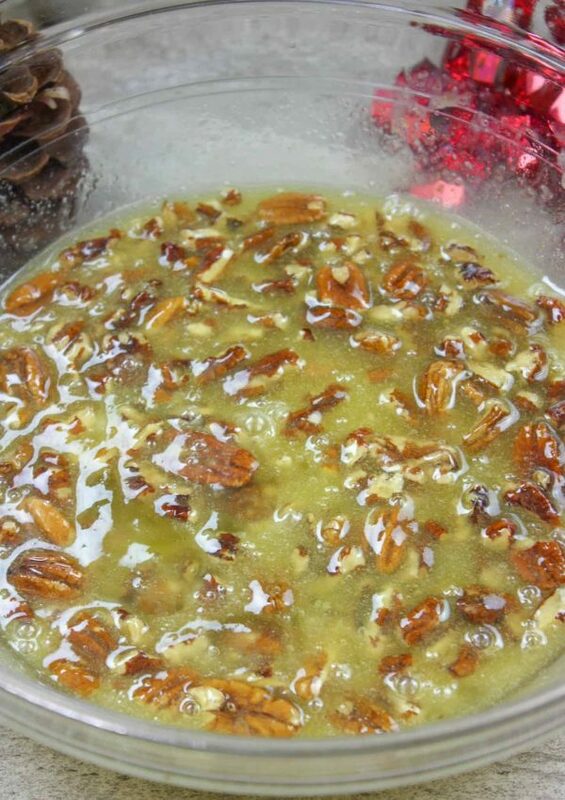 Most of the pecans will float to the top when they bake. So, you will have a ribbon of chocolate and pecans and the gooey center. It just doesn’t get any better than that. 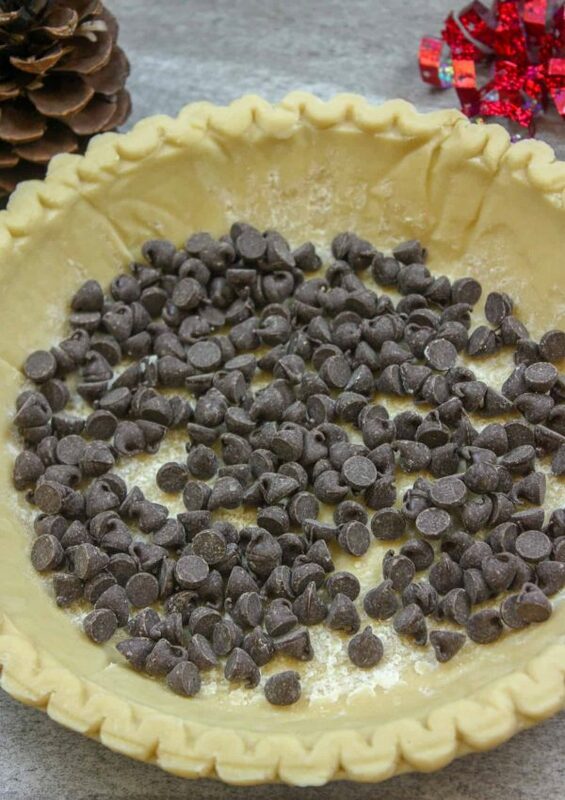 Sprinkle the chocolate chips into the bottom of a frozen pie crust and spread them out evenly. I use a frozen crust because it’s just easier for me. You can use a homemade crust, or store-bought rolled crust and you will be fine. My grandmother used to whip up pies in no time. She even made her crust from scratch. She’d have a chocolate pie for me and a caramel pie for my sister made before she even went to work in the mornings. You don’t have to use as many chocolate chips as I am using. You can cut the chocolate chips in half if you’d just like a little bit of chocolate flavor in the pie. Bake the pie for 55 minutes or until the center is still a tad wiggly. The pie will continue to bake when you take it out of the oven and set up more. If the edges of the crust begin to brown add a pie shield around the top. 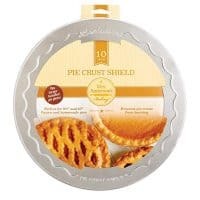 If you don’t have a pie shield, take a little bit of tin foil and gently cover the edges of the crust while baking. That should keep the edges from getting too done or burnt. I also bake the pie on a cookie sheet covered in tin foil. 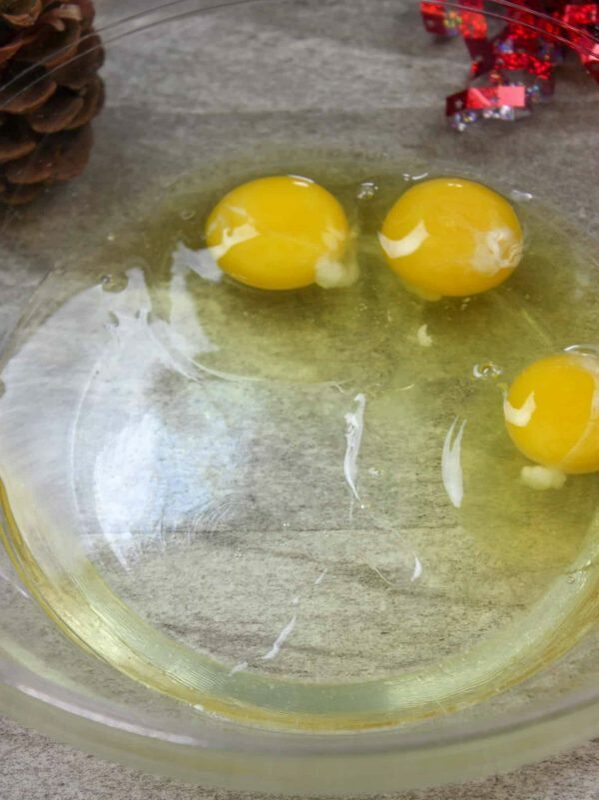 If you happen to spill a little bit of the mixture in the bottom of the oven, it’s going to stick like glue. Let’s just say it ain’t pretty. So, having that cookie sheet will save you time and lots of elbow grease. After you bake the pie, let it rest for about two hours before cutting into it. It’s hard to wait, trust me. But, oh-so-worth-it. Add a little whipped cream on top or a scoop of ice cream. Chocolate Pecan Pie is a delicious dessert that combines the classic pecan pie recipe with a ribbon of chocolate. The easy southern pecan pie recipe takes about 10 minutes to make and less than an hour to bake. You'll love this Thanksgiving and Christmas holiday dessert. Add the pecans and stir until they are all coated. Add the chocolate chops to the bottom of a pie crust. Gently pour the pecan pie mixture over the chocolate chips. Bake for 55 minutes, or until center is barely wiggly. Let rest for two hours. For easy clean up, place the pie on a cookie sheet covered in tin foil and then place in the oven. That way, if the pie spills over, it will only get on the tin foil.